"Reader's View: Right Wing can't prove Obama doesn't love America. Letter writers from the right wing are never more amusing than when they accuse President Obama of not loving America. Take the Aug. 15 letter, “Mothers believe in Palin’s message,” which extolled the virtues of Sarah Palin, the failed Republican vice presidential candidate, resigned governor of Alaska and Fox News commentator. “Most of all, she (Palin) loves our country, something woefully lacking in the present president,” the letter writer stated. Those making such charges (and also those challenging his very citizenship) should be more specific about just what Obama does to demonstrate that he does not love our country. Like, name one thing. I can name several things he has done to demonstrate his great love for our country. To be specific, he loves our country so much he wants every American to have health coverage assured; he pushed for legislation that very likely averted a deeper recession or even a depression; he spearheaded credit card consumer protection. The list is long. People might, and will, differ over the president’s policies or choices for Supreme Court justices, but to propagate the myth that he somehow hates (the opposite of love in this case) America is ridiculous and betrays woeful lack of understanding in those who make such a charge without offering one shred of evidence backing it up. While I might not agree with Palin’s politics, I don’t doubt for a moment she, too, loves America, especially its currency." I have to admit that I'm a "people watcher." You know... one of those people who sit at a cafe sipping coffee and pretending to talk with my wife while in reality I'm busy watching the lives of others in action right before me. People are interesting and I am always trying to guess who these people are and think up stories about their lives. Of course I could be completely wrong about my fabricated story line... but it's fun to try to guess. It's this people watching element within me that pulls me toward keeping an eye on social trends. Social trends are sort of like people watching, only on a broader scale. Recent social trends are marked by the growing phenomenon of social networking. The Facebook and Twitter phenomenon on the Internet has erupted like a volcano, with clones that connect the universe even more specifically, such as the new LinkedIn network. While I'm a semi-retired person (mostly retired) who is no longer out there vying for jobs, I enjoy watching how it's changed for those currently seeking jobs. If you're a people watcher like me and enjoy keeping pace with these social trends, read this piece in the August 25th NY Times (HERE) about the new wave of searching for a job via social networking. It's all changed from the days of merely sending in a paper copy of your resume... and more changes are yet to come. How have you been impacted by social networking? It would be interesting to learn just how this revolution has impacted all of us. Besides, us people watchers want to know. The renewed interest in Duluth's historic Orpheum Theater, the four walls of which encase today's NorShor (what remains of it), is brought on by the 100th anniversary of the Orpheum's opening, well covered in today's (Aug. 19) Duluth News Tribune (read Christa Lawler's stories HERE and HERE). I am quoted in one story and provided a photograph of the Orpheum's former presence on Superior Street, which served as the theater's exit (the entrance was on Second Avenue West) throughout it's 30-year history, and became the NorShor's entrance after the the conversion was completed in 1941. That conversion reversed the entire theater 180 degrees, with the NorShor's screen on the end of the auditorium where the Orpheum's balconies had been. 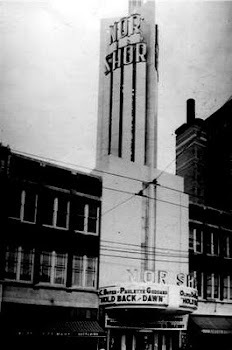 That meant the Orpheum's stage was approximately where the NorShor's existing lobby is. My quote recalled seeing the blockbuster movie "The Robe" at the NorShor when I was a sophomore in high school in 1954-'55, and was singled out by me in pointing out that the NorShor had such a big outer lobby huge crowds could, and did, line up indoors, although there were times -- and "The Robe" was one of them -- when eager moviegoers filled that lobby, then snaked out onto Superior Street and down the block. "The Robe" is largely forgotten today, but it was a phenomenon when it was released. It was based on a runaway best selling book by Lloyd C. Douglas and told the fictional story of what happened to the robe Christ wore on his way to his crucifixion. It starred Richard Burton in an early screen appearance, possibly his first. Burly Victor Mature played the gladiator Dimitrius. The movie was also the first filmed in a then-new and exciting wide-screen process called "Cinemascope." It was THE movie of the year, and perhaps the decade, although just a couple of years later a black-and --white movie called "Blackboard Jungle" showed up and forever changed American popular music ("Rock Around the Clock") and to some extent filmmaking. The arrival of "The Robe" in Duluth was such an anticipated event that the NorShor theater operator persuaded the public high schools to release students who wanted to attend the opening matinee. That's when I saw it. Who would choose to stay in school when you could go to a movie? Our jewel of downtown Duluth, the Historic NorShor Theatre, is gearing up for renewal with a city led celebration commemorating the centennial of its original theatre form, the Orpheum Theatre. Tomorrow and the coming weekend will begin the road to renewal for the NorShor. Check out the link HERE to learn more. And... come on down to the NorShor this weekend for these city-wide events! A reader sent in this very interesting bit of information about August 2010. Guess none of us will be around to see it again in our lifetime... so enjoy this month as you never have before! This was found in an old Duluth News Tribune newspaper someone had saved and forwarded. It was an ad used in the late 70's, early 80's to promote my columns. Thought you'd get a kick out of seeing it. 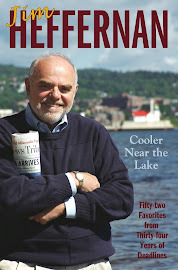 Check out his book, Picture Duluth! 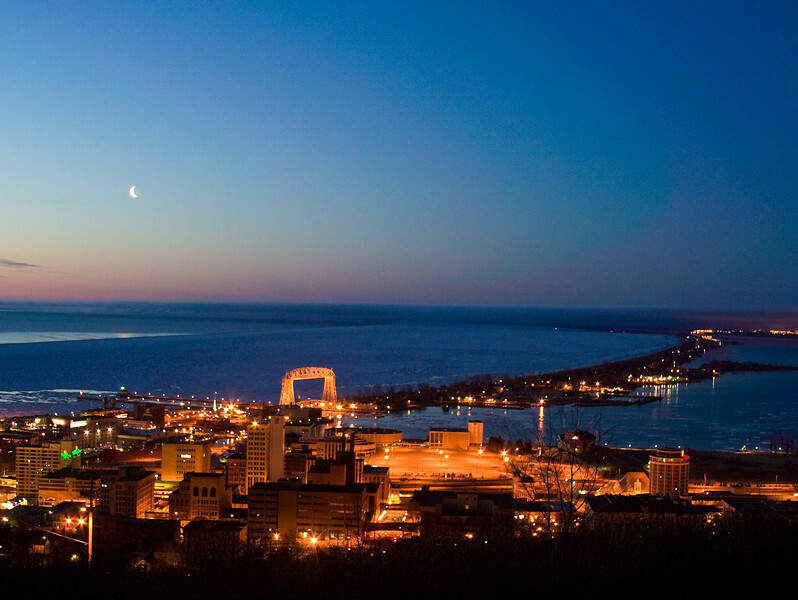 Duluth ranks #12 in the Top 20 Best Cities to Find Jobs in the US. Check it out HERE. 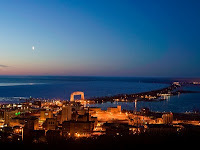 Of course, we all know that Duluth is a great place to live and work! The Minnesota primaries are over and the state Democrats have selected Mark Dayton to be their candidate in the November race for Governor. 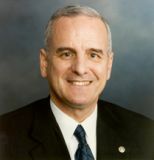 Check out Howie Hanson's report on StarTribune.com to learn what area voices had to say in response. You'll find my comment included. Somewhere in my boxes of files I have a Xerox copy of the front page of the Los Angeles Times for Aug. 7, 1945. 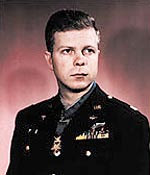 In bold headline type – probably 60 point – it states that World War II ace of aces Maj. Richard I. Bong had been killed the day before in the crash of an early jet plane he was testing. Also on that front page, in smaller type (could be 36 point) a headline announces the dropping of an atomic bomb on Hiroshima, Japan. This week most news outlets mentioned the 65th anniversary of the Hiroshima bombing that was the start of a series of events – including the A-bomb devastation of Nagasaki a few days later – that brought World War II to an end in that August of 1945. It was a truly momentous time, the dawn of the Atomic Age, worthy of sober recollection at each anniversary. Lost in the shuffle – forgotten even in this, his native, region – was the fact that Aug. 6 was also the 65th anniversary of the death of Bong, the 24-year-old Army Air Corps (there was no branch of service called the Air Force in 1945) pilot who was the most decorated flying ace of the war for his exploits in the South Pacific. He grew up in Poplar, just outside of Superior, and, since no one around here appears to have noted the 65th anniversary of his death, it seems worthwhile to recall that it is Bong whose name is on the western St. Louis River bridge connecting the Twin Ports -- just in case anybody has forgotten, or never has been told, just who they named the bridge for. Bong would be 89 years old now, had he lived a normal life span and then some. Dying at 24, his picture vivid in the minds of those who pay attention to such things, he’ll be forever young. Keep the arts alive in Duluth! Opera on the Lake and Opera in the Park are two fantastic Duluth Festival Opera events scheduled this August. Duluth is getting a name for being an artsy kind of community and we need to support as many of our arts events as we can to keep arts alive in our town. So... spread the word and join the fun! 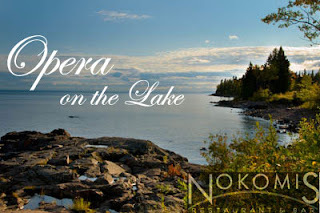 Opera on the Lake takes place on Wednesday, August 18 from 4-6 PM at Nokomis Restaurant and Bar just a few minutes drive up the North Shore Drive. You'll enjoy professional opera singing table-side, wine and delicious appetizers presented by Chef Sean Lewis, pretty views of Lake Superior and an opportunity to help keep the arts alive in Duluth! Seating is limited so call now for your reservation. Also coming up is a free opera and Duluth-Superior Symphony Orchestra performance in Lief Erickson Park (Opera in the Park), scheduled for August 22 at 6 pm. 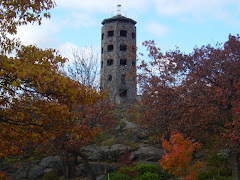 Check the DFO link HERE for the details about Opera on the Lake and Opera in the Park. 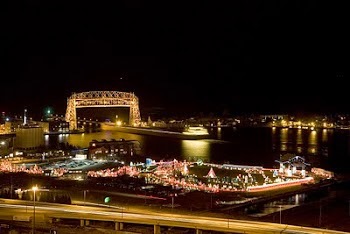 Help keep the arts alive in Duluth!